Exposure to ozone (O3) — a common air pollutant — at birth may increase the risk of developing asthma by age three, a new study suggests. The study, presented at the 2018 American Thoracic Society International Conference, showed that 31 per cent of the participants developed asthma, 42 per cent had allergic rhinitis and 76 per cent had eczema, reports Ians. “Our findings show that the hazard ratios for ozone measured at birth as a single pollutant showed statistically significant higher risks for development of asthma, allergic rhinitis and eczema,” said lead author Teresa To from The Hospital for Sick Children (SickKids) in Canada. 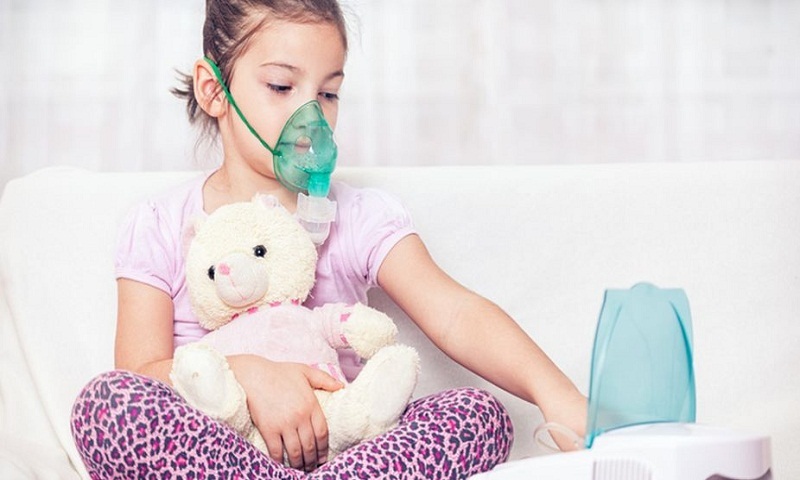 The study also found that 82 per cent higher risk of developing asthma was associated with each 10 parts per billion (ppb), or ppb increase in exposure to ozone at birth. For the study, 1,881 children were recruited who were followed from birth to 17 years of age, on average. According to the researchers, children are at a higher risk because their lungs and other respiratory organs are smaller, and they spend more time in outdoor physical activities that make them breathe faster and more deeply. The research team took annual average concentrations of pollutants from fixed monitoring stations. Development of asthma, allergic rhinitis and eczema were determined based on any records of health services used for these conditions, reports Ians. The researchers adjusted for variables such as parental history of asthma and early home exposure to pollutants. Earlier, some studies have shown that ozone depletes antioxidant activity and increases indications of inflammation in the respiratory tract fluid lining and affects lung growth. “Air pollution isn’t only one or a few countries’ problems, but rather a global public health concern,” said To, also a professor at the University of Toronto. “While there are individual actions one can consider to reduce exposure to air pollutants, it also requires action by public authorities at the national, regional and international levels,” she noted.